You buy expensive booze, you lose. Here's how to find a stiff drink without getting stiffed. Nothing sets off the flavor of barbecued ribs like the subtle, floral bouquet of Pabst Blue Ribbon. A variety of ribs from all over the city are on hand at Ribfest Chicago (Jun 12–14), and if you run out of tickets from buying a few slabs-worth of $3 two-bone samples, save cash by abandoning the beer line and heading a block south to Goldie’s (3839 N Lincoln Ave). 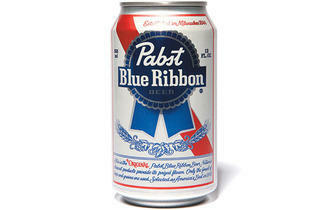 PBR is on tap for just a buck all day every day. Sneaking booze into public events is a pastime that reaches way back to the Middle Ages (quoth the very reliable Wikipedia). Thankfully, along with the invention of sliced bread and computers, surreptitious drinking tactics have improved. Enter the Beer Belly ($34.95)—an 80-ounce plastic bladder that sits in a skinlike neoprene sling and hangs over the shoulders, resting against the belly allowing you to imbibe from a concealed feeding tube. Say goodbye to your slaved-over beach body and hello to heaven. If you enjoy beer with your books (and who doesn’t? ), head south to Printers Row Lit Fest (Jun 6–7). Since the finest literature deserves only the best beer, get thee over to nearby Hackney’s (733 S Dearborn St), curl up with a good read and sip on 19-ounce drafts of Flywheel Bright Lager. At $3.95, this beer, brewed in Ravenswood by Metropolitan Brewing, is on sale especially for the festivities. Admission ($14, $8 advance) to the Irish American Heritage Festival (Jul 10–12) lands you a series of whiskey tastings and educational seminars. Learn about the whiskey-making process, the variety of whiskeys and the subtleties of each type, courtesy of Michael Collins Irish Whiskey. If you have the constitution to make it through class, you get a token good for one free whiskey drink of your choice at the festival. Score.